A lack of supply with strong market demand continues for 2017 in April throughout Dane County. Even with low interest rates, positive job reports, stronger demand from buyers and high consumer confidence ratings, sales of condominiums and single family homes have not reached their potential due to a lack of inventory. Dane County continues to see an active inventory of less than two months, which makes five months in a row now. Six months of active inventory usually means the market is very balanced between sellers and buyers. 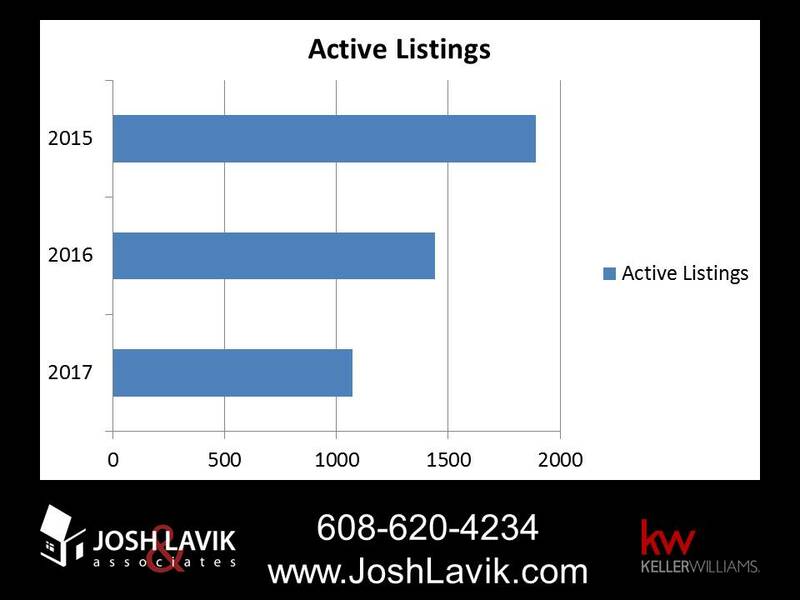 However, with only 1,070 active listings at the end of April, the inventory is lower than it has been in Dane County since 1997, according to the South Central Wisconsin MLS Report.. April saw 663 sales in Dane County, which was 12% lower than the same month las year when buyers had 35% more listings to choose from. While listings are down, the monthly median sales price is up. For the 20th time in the last 21 months, the median sales price went up. It's 6.4% higher over the past 12 months and reached $250K. 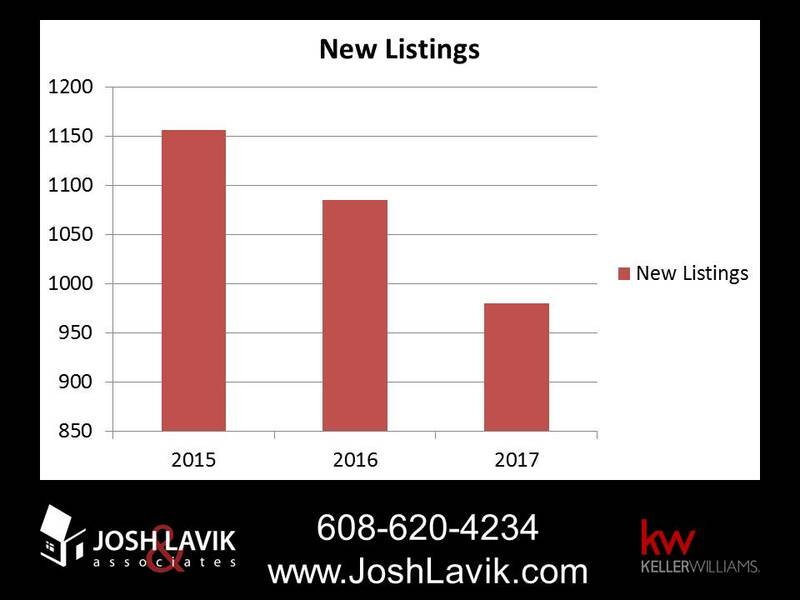 Active listings continue to be the problem with only 980 new listings in Dane County for April 2017 compared to 1,085 for April 2016 and 1,156 for April 2015. The lack of listings has caused the number of sales to drop, as well. Now is the time for anybody looking to sell a house or condo to get it listed. Dane County is a seller's market with a lack of inventory causing prices to go up and plenty of properties are getting multiple offers. Buyers are waiting, so don't hesitate if you've been thinking about selling.